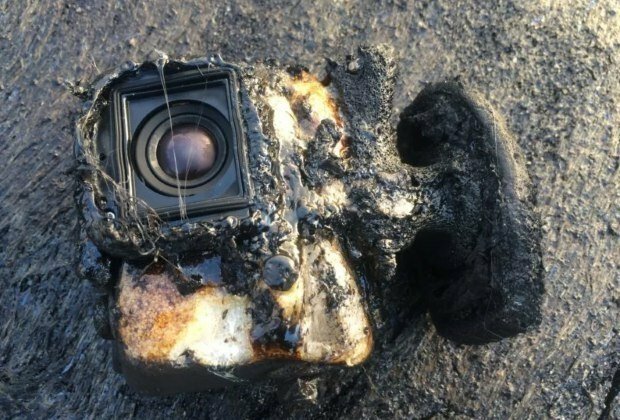 Action camera GoPro covered with lava flow, but it continued to work. A video published on the YouTube channel PetaPixel, five days it gained more than 1.3 million views. Camera owner Eric storm (Erik Storm) is headed by the company conducting private tours of volcanoes in Hawaii. The man said that about a year and a half ago I decided to photograph the lava flow from small holes. At some point, hot mass covered the camera, it lit up. Storm managed to pull out the GoPro and thought of her as hopelessly flawed, and then found that it continues to work. The memory card and record the incident appeared to be intact. Portal PetaPixel also posted photos of the victim GoPro. They show that the camera is really fused.